Pros: Many options, tutorials, and supports help students start simply and grow skills. Cons: Even though the online art gallery is moderated, some content may be iffy. 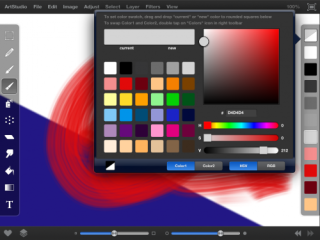 Bottom Line: ArtStudio provides exciting digital tools and helpful information for high school artists.